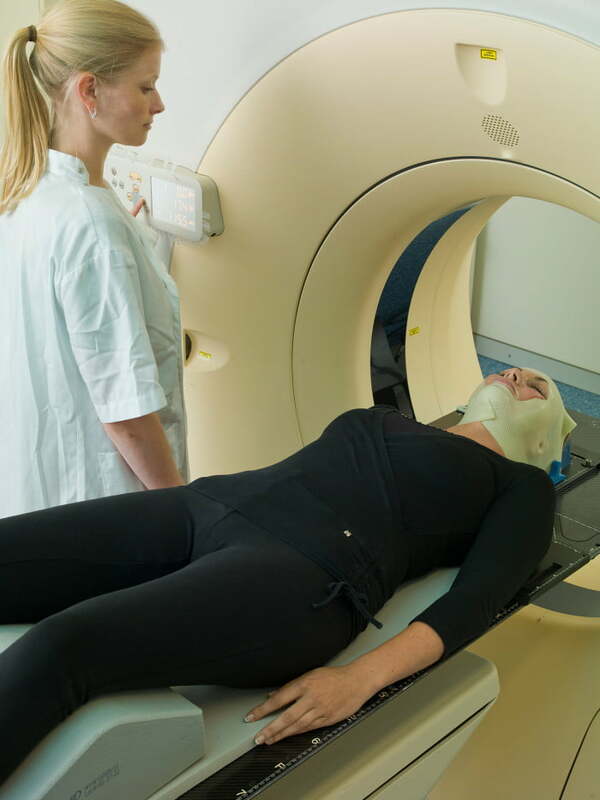 When positioning and immobilizing a patient for a radiation therapy treatment, anxieties like claustrophobia can occur when the immobilization is performed with a thermoplastic mask. Here are a couple of measures you can take to prevent this from happening and to make the patient feel as comfortable as possible. Obtaining a good result starts with a good preparation. Your patient needs to know exactly what he or she can expect and why the mask is so important: It will help keep them in the same position each time for each treatment session. You can show them a moulded mask as an example and you can show the different moulding steps on a poster. If they know in detail what will happen, it will be less likely they are frightened. Gaining trust and allowing them to ask questions are crucial steps before applying the mask. Talk them through the mask moulding process by helping them to breathe in a relaxed manner. You have to assure them that they can keep on breathing through their nose even with the mask on their face. The mask feels like a hot wet towel similar to what you receive during a facial treatment in a spa. This can be given as an example so they feel more at ease and know what to expect. 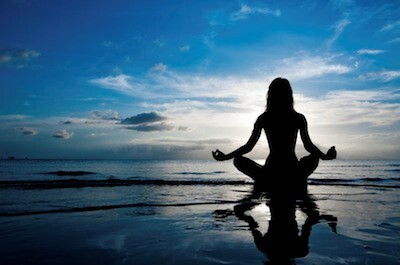 For some patients it helps to meditate or do relaxation exercises. 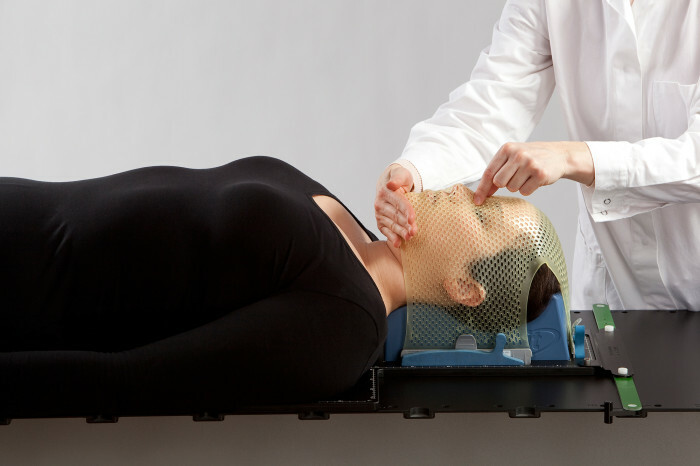 The Orfit Open Face Mask leaves most of the face uncovered, thereby reducing discomfort and high anxiety experienced by claustrophobic (and other) patients undergoing head and neck Radiation Therapy. 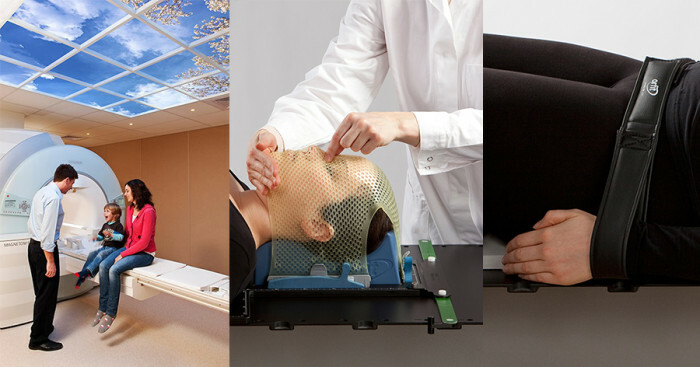 If treating all patients with an Open Face Mask is not yet an option for your Radiation Oncology Department, remember that Orfit Industries offers different versions of almost all masks, leaving either eyes, mouth and/or nose free. 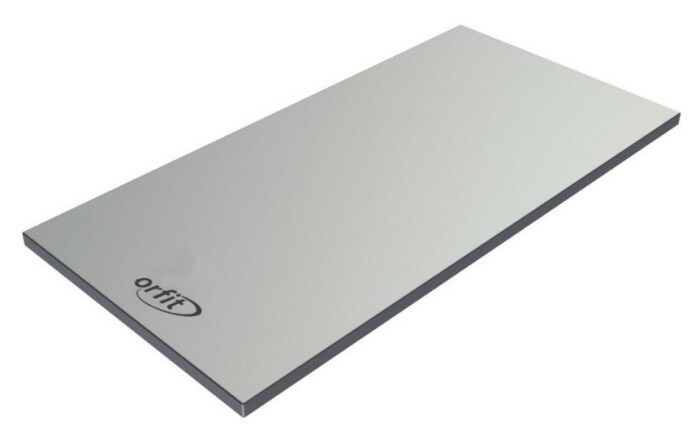 Orfit has different sizes of head supports available. 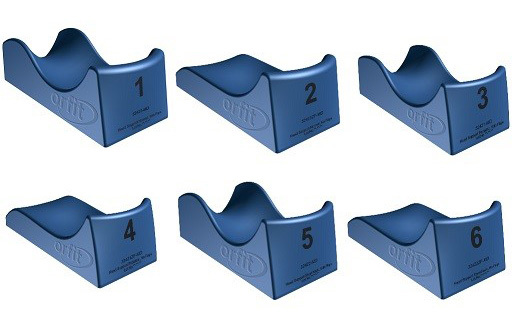 Choose the one that fits nicely around the patient’s head and neck. If necessary you can use blocks and wedges for additional support. You want to avoid having pressure points at the back of the head or somewhere in the neck. The more comfortable the patient is feeling, the less he or she will move. Treatment tables can be very narrow for larger patients, with the result that there is no space to position their arms comfortably next to the body. Using an arm strap helps them to keep their arms in a relaxed position without applying any force. 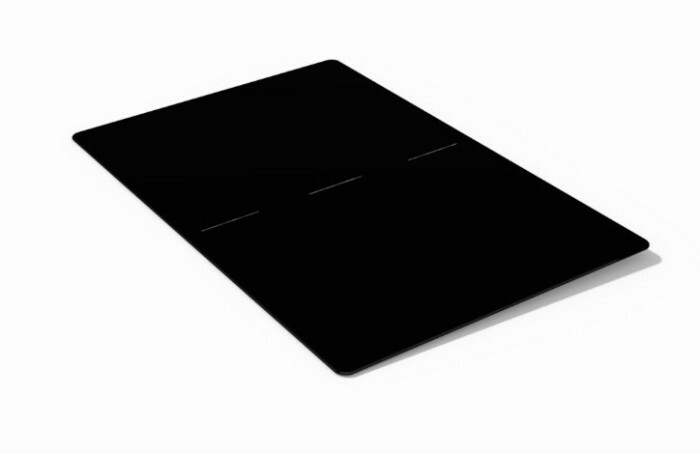 Either you use a comfort mattress that is placed at the edge of the base plate. Or you can use the base plate extension. This small plate is positioned behind the head and neck base plate and makes sure that there are no sharp edges sticking in the back of the patient. Never apply too much pressure on the mask when moulding. The thermoplastic will shrink around the patient. Only the nose bridge, chin and shoulders should be moulded. These are the bony parts of the body and they can handle some pressure. 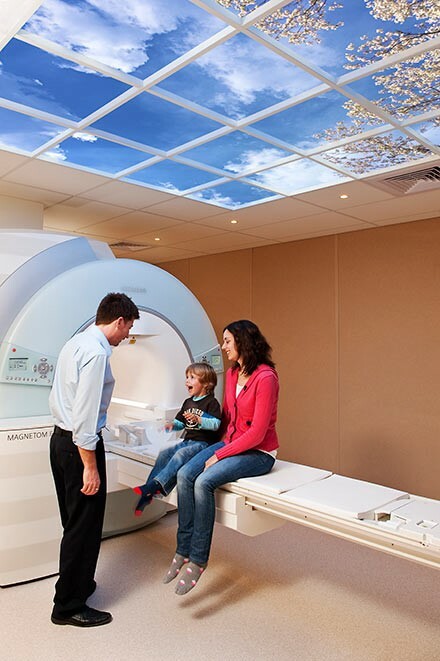 A naked radiotherapy bunker may be experienced as a cold and impersonal place. Why not try to turn this area into a place that comforts and reassures people? You can realize this with the installation of a sky ceiling. This is a photographic illusion of a real sky on the ceiling, which can trigger beneficial relaxation responses for mind and body. A company that can realize this type of ceiling is Sky Factory. Does your budget not allow this type of installation? A beautiful picture on the wall of a skyline, the beach, a forest etc. can already create a less clinical atmosphere. Allow the patient to bring his/her own music to be aired during the treatment. Listening to the tunes of their favourite band or artist will definitely make them feel more at ease. If the process of changing music for each patient is too much of a hassle, consider choosing some relaxation or meditation music, or air some nature sounds. Let your patients know what they will be able to do with the mask once their treatment is over. 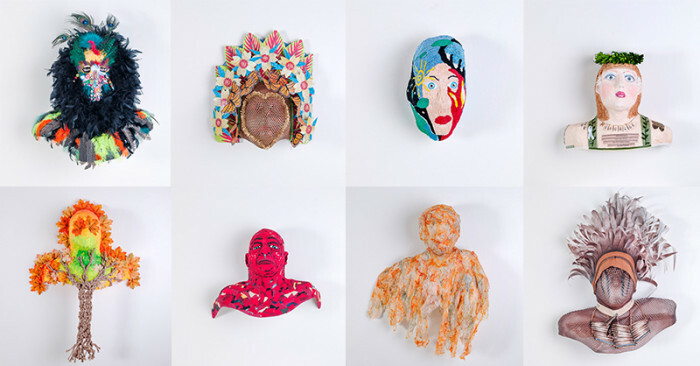 If they know that they can turn their mask into a beautiful work of art (or simply destroy it after the treatment), it might help them in dealing with their mask or channelling their fear into something positive. More information can be found on our website. If you have any questions, get in touch with your local Orfit distributor or ask your question in our Orfit Patient Immobilization & Positioning Group on Facebook! Radiation Oncology Product Specialist at Orfit Industries. 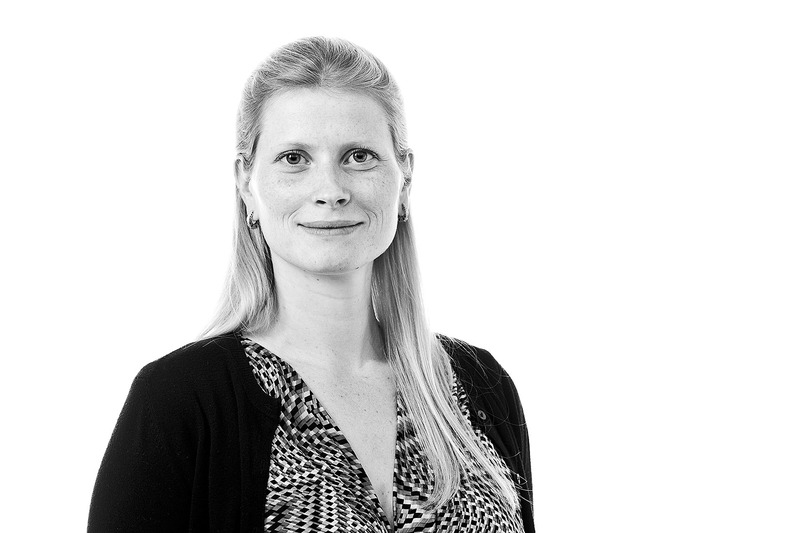 Emilie has been working for Orfit since 2011. She has travelled the world visiting cancer centers and teaching the staff how to correctly use the Orfit products. She is also involved in the R&D process of the products and makes sure that the products meet the needs of the market.